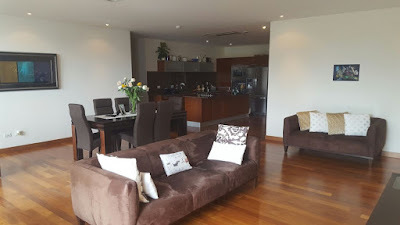 For sale: 4-bedroom condo in San José, Costa Rica! After 5 years in Costa Rica, we have moved to the US. We are selling our condominium apartment on the fifth floor of the Metropolitan Tower, overlooking the Sabana Metropolitan Park, next to the National Stadium in San José, Costa Rica. USD 450,000This price has been reduced substantially and is a very attractive price for this property. First and foremost, James Damore's original diversity memo. First intended for a limited audience at Google, it was published after a first internal and then public uproar, and his resulting firing for expressing this opinion.The Guardian: Google employee fired over diversity row considers legal actionMegan McArdle, via Bloomberg View: As a Woman in Tech, I Realized: These Are Not My PeopleCynthia Lee, lecturer in computer science at Stanford: I'm a woman in computer science. Let me ladysplain the Google memo to you.I liked the article by Megan McArdle. However, I was asked to express my opinion about the last article, by Cynthia Lee. Cynthia's point of view appears to be representative of the uproar, and is phrased in a cogent and non-extreme manner.